Interested in studying abroad over the summer and exploring differing perspectives on international government and policies? Consider attending an information session on Wednesday, November 14 from 3:30-4:30 pm in Condon 201, to learn about a summer study abroad program lead by Political Science Professor Priscilla Southwell. 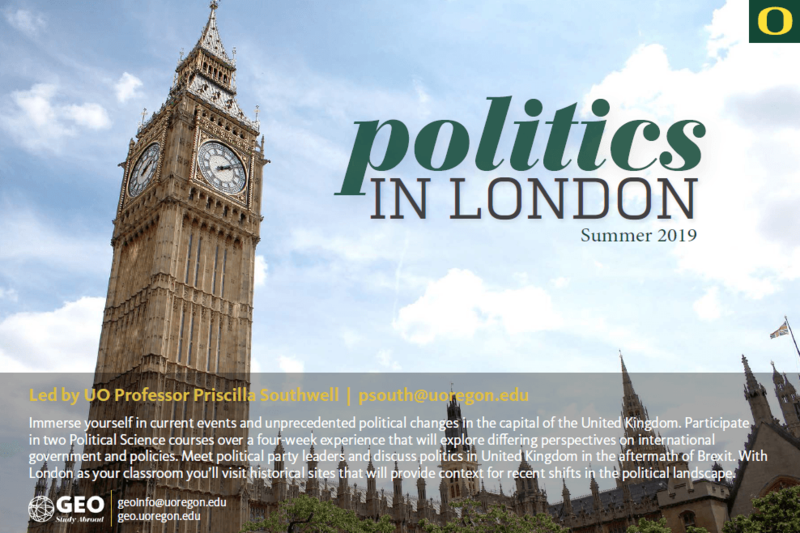 The “Politics in London” program will run from July 29-August 23, 2019, with several excursions in London. The priority deadline to apply to this program is February 15th, 2019 & the final deadline is on March 15th, 2019.